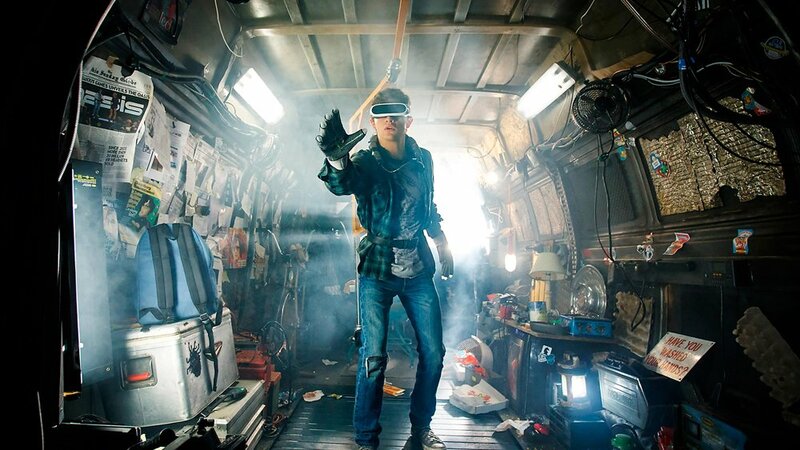 Gobbledygeek episode 338, “Ready Player One: Break a Few Easter Eggs,” is available for listening or download right here and on iTunes here. Nostalgia, some say, means pain from an old wound. This week, Paul is nursing pain from a fresh wound: his immense disappointment at the way Steven Spielberg’s adaptation of Ernest Cline’s Ready Player One has turned out. Spielberg’s big-screen reworking of the tale of a young boy immersed in a virtual reality game called the OASIS, using pop culture as currency to find freedom, is loud and overwhelming. For someone like Paul, that doesn’t sit well; Arlo, on the other hand, finds himself in the unusual position of defending one of these big dumb movies. The boys discuss crucial changes the film makes that change the story’s intention; whether or not Spielberg’s CG rendering of the OASIS is impressive; the ethical and metatextual implications of certain scenes; and why the book is unfairly derided. Plus, Arlo continues his journey through Disney animation. This entry was posted in Shameless Self-Promotion and tagged 101 dalmatians, action, adventure, animation, ben mendelsohn, books, cartoons, comedy, disney, ernest cline, family, fantasy, film, george lucas, gobbledygeek, itunes, lena waithe, libsyn, literature, mark rylance, movies, olivia cooke, one hundred and one dalmatians, podcast, ready player one, robin hood, sci-fi, science fiction, simon pegg, sleeping beauty, stanley kubrick, steven spielberg, the aristocats, the black cauldron, the fox and the hound, the jungle book, the many adventures of winnie the pooh, the rescuers, the shining, the sword in the stone, tj miller, tye sheridan. Bookmark the permalink.